I recently discovered Wildathrt on Instagram and fell in love. 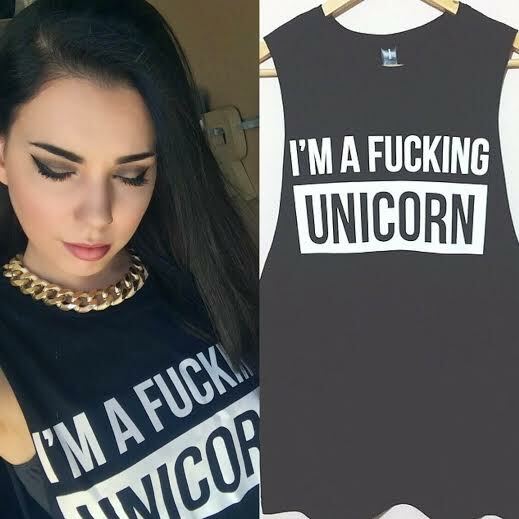 I ordered one of her muscle tees and just received it in the mail the other day. 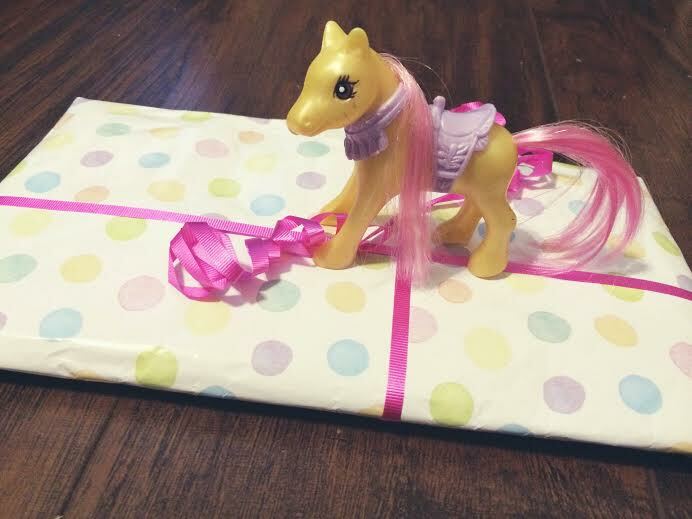 She even wraps each order special with pretty paper and mine came with a pony! All of her stuff is adorable so go check her out. You can find her on Instagram by searching Wildeathrt or just by clicking below! 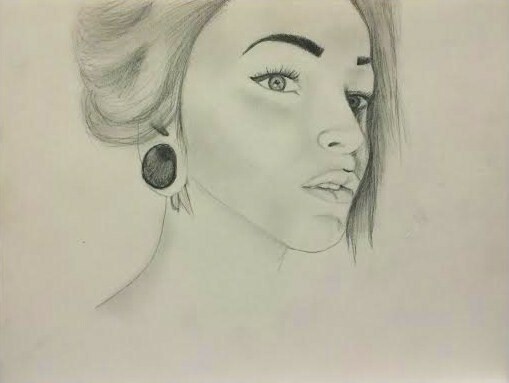 I think that portraits are my favorite thing to draw and here is a sketch I did recently for someone. I am going to continue on the self portrait I started a few weeks ago, but I also just found a blank illustration board I never did anything with. 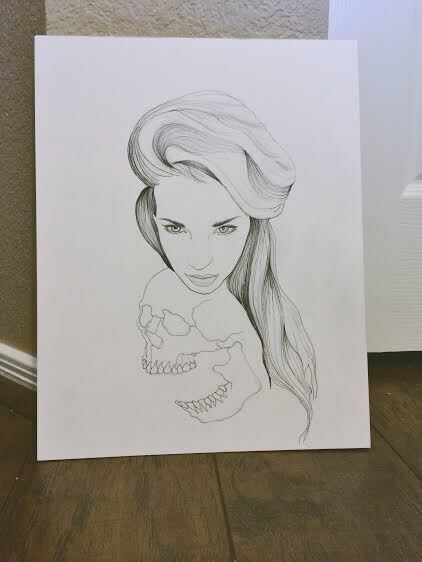 I will be creating another piece soon and might incorporate some paint and glitter. In the meantime, I will also be packing and preparing to move into a place of my own where I will be setting up an easel and starting to paint some more. I started a new drawing last week and will be continuing to add to it throughout the next few weeks. I think I’m going to keep it mostly graphite and ink for now and experiment with the background a lot. I am super excited because I have started my Etsy shop and made it accessible through my site. I am getting ready to add some more stuff this up coming week. Also, if anyone has any feedback on anything you would like to see more of, please let me know! I have posted this on my Instagram and Tumblr already, but this is my original sketch of this drawing. 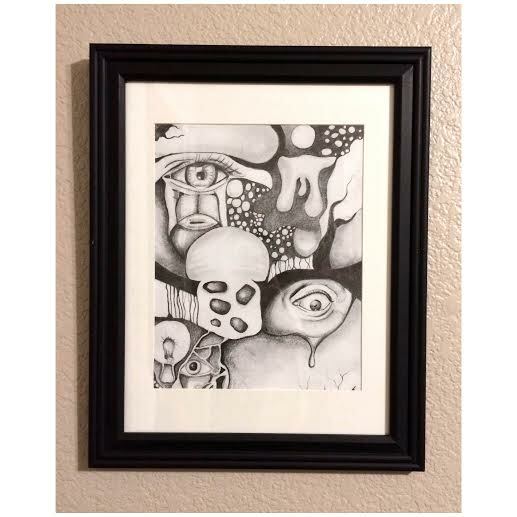 I framed it last week and just put it up for sale in my shop. It is my absolute favorite and will be hard to let go of, but I know a lot of people who really liked it, so I would love to share it with someone else who loves it just as much as me. I will also be making copies of this one as well.